Beyonce hints at martial strife by changing the lyrics to her songs while on tour with her husband Jay Z. Pop superstar Beyonce shocked fans when she hinted things might not be as perfect as they appear between her and rapper Jay Z when she performed in Ohio at the weekend. 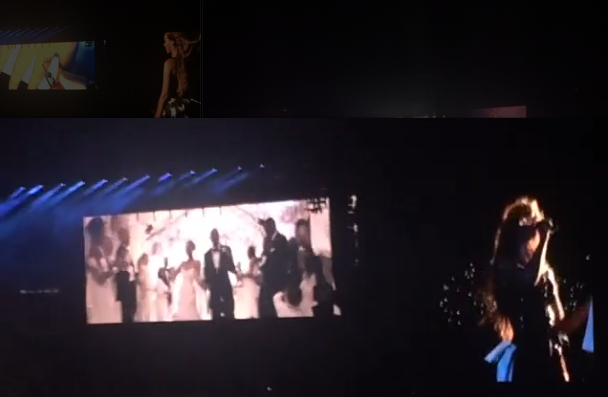 Taking to the stage wearing a flowing wedding gown, the former Destiny's Child star performed unreleased track Resentment - a song about a woman whose partner cheats on her. In the song Beyonce went as far as even changing the lyrics sparking speculation among fans the songstress was hinting at her marriage. She swapped "Been riding with you for six years," to "Been riding with you for 12 years" - coincidentally the length of time she's been with Jay Z.